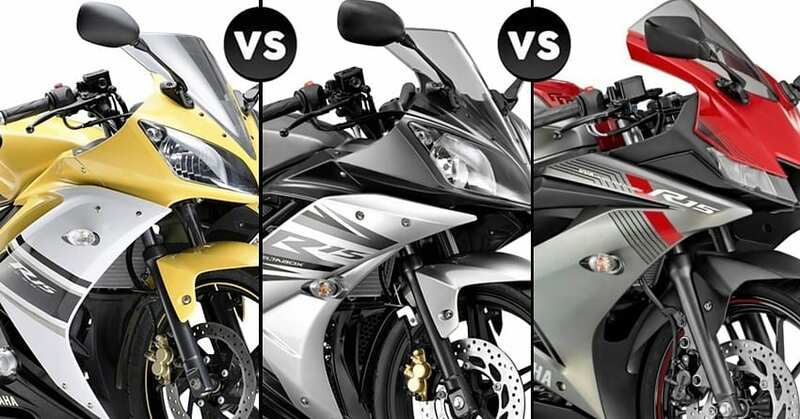 Yamaha R15 V1 vs V2 vs V3 (Detailed Comparison): Yamaha R15 was first launched in India in 2008 and ten years later, the third generation model arrived with better than ever performance and equipment list. R15 V1 was the first motorcycle of its kind, using race-derived chassis, powerful engine, and technology that was missed on most of the products in 2008. The motorcycle featured liquid cooling, fuel injection and full-faired body with perfect proportions for that time. The first generation ruled the tracks for a short period of time as September 2011 witnessed the launch of R15 V2 in the country. The motorcycle was essentially an R15 V1 with better tires, refined design lines and head-turning tail section. 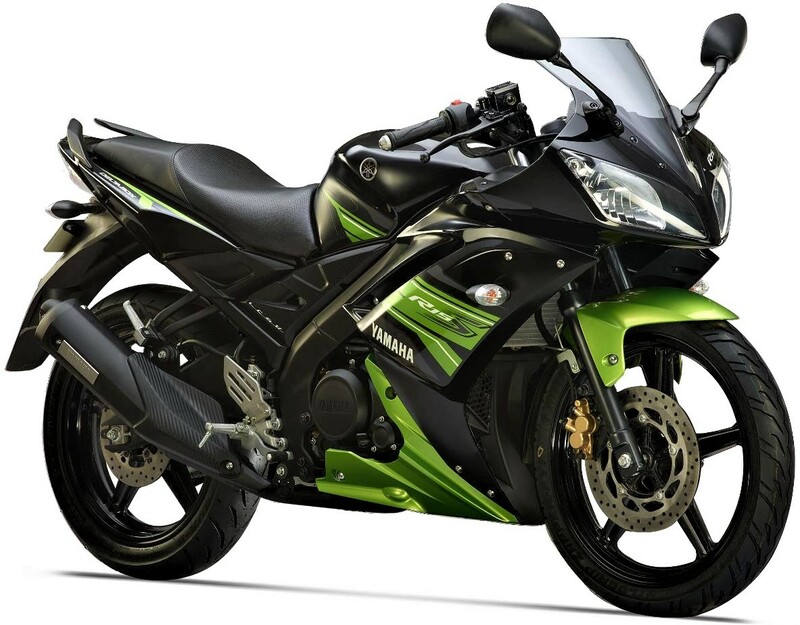 Yamaha used a better-looking exhaust, refined engine and better colours on the second generation model. The 149cc engine on the motorcycle remained unchallenged for a full decade before the introduction of their new 155.1cc engine on the third generation model. 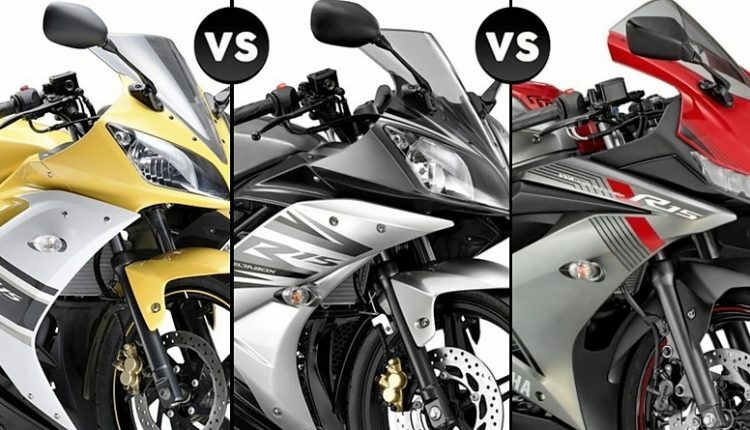 The current generation of the lightweight motorcycle, popularly called R15 V3, is good for 2.3 HP worth more output in comparison to the first two models which generate 17 HP of maximum power. Not just that, it comes with an all-digital console, slipper clutch and ABS over the old versions. The price hike of INR 12,000 helped the R15 V3 achieve the much-awaited 2-channel ABS unit in India. The complete life-cycle of both first and second generation model was filled with higher than ever numbers. Yamaha even introduced the R15-S variant to help customers who missed the rear seat comfort on the R15 V2. 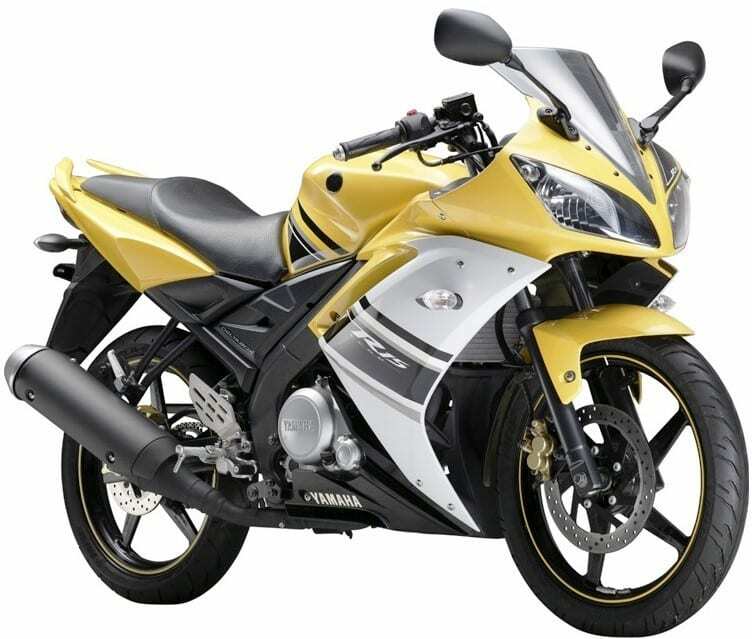 In comparison to the Indonesia-spec model, the Indian version of R15 V3 is seen with conventional forks and different footpeg holders. The model is also the first one to bring LED lights as standard. The first generation model weighs just 131 kg while one decade of engineering has added 11 kg to the overall motorcycle weight. 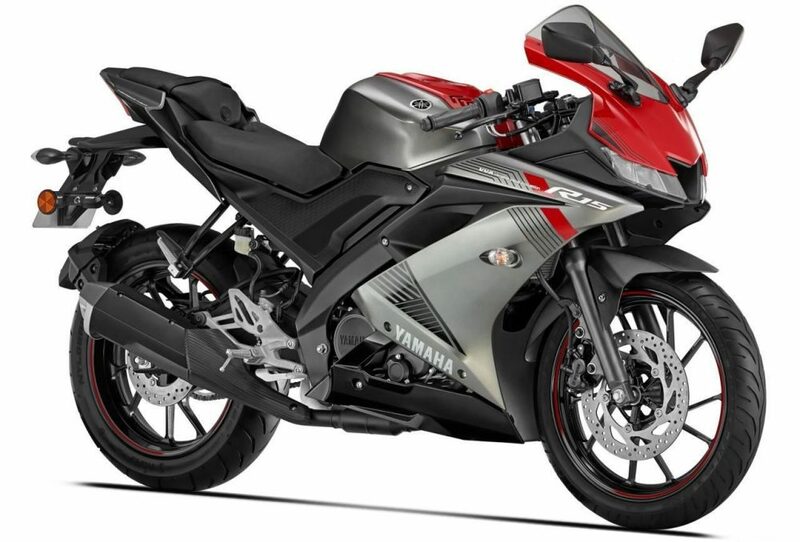 Also, the iconic 1290mm of wheelbase for R15 V1 is still the best-in-class figure in the Indian industry. 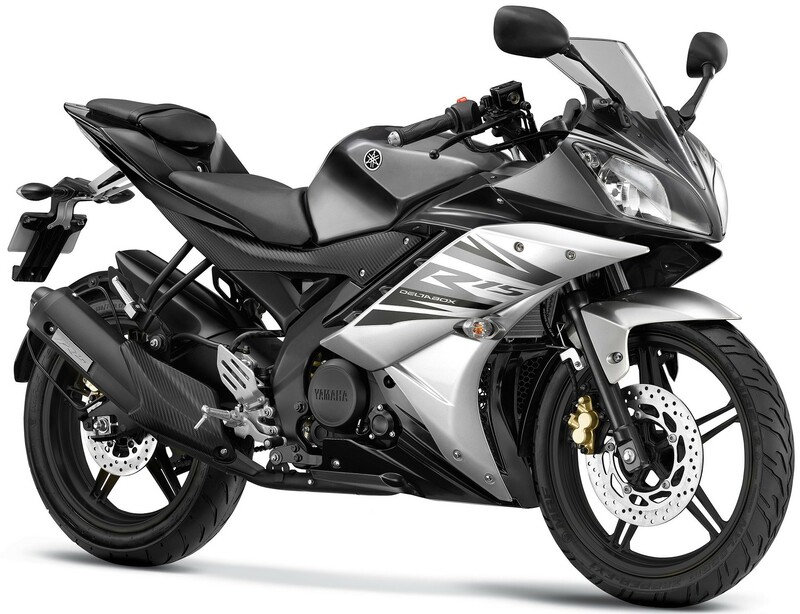 Yamaha also retails R15S in India for INR 1,17,000 (ex-showroom). It is basically the V1 with some of the components shared from the R15 V2.